I am pleased to submit the Canadian Forces Grievance Board's (CFGB) eighth Departmental Performance Report (DPR) for the period ending March 31, 2009. Over the last year, the Board delivered on its promise to share with various stakeholders some of the valuable information it gathers while reviewing grievances. 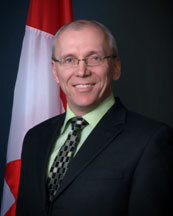 The Board launched Perspectives, a newsletter targeted primarily at senior officials at the Department of National Defence (DND) and the Canadian Forces (CF) with the objective of outlining general trends, flawed or inadequate policies, areas of dissatisfaction and problems of a systemic nature. In reporting these issues to the leadership, key decision-makers and professionals associated with conflict resolution in the CF, the Board plays an active role in improving conditions of service for all military personnel. On the operational side, the Board acted proactively in response to the CF's concerns with regard to the length of time it takes to resolve a grievance from start to finish. As part of the process, the CFGB looked at ways of contributing to reducing overall delays by conducting an in-depth review of its internal processes. The result was an increase in efficiency in the case review process while maintaining the high quality of our Findings and Recommendations. I am also happy to report that the CFGB made significant progress in the past year to ensure the Board's corporate management is well aligned with the Government of Canada's priorities. Corporate initiatives included expanding the Board's Integrated Business and Human Resources Plan to include an HR three-year strategic plan and a Succession Plan, the development of an Integrated Risk Management Framework, further enhancing the Board's records management system and the expansion of its information management activities to become a more fully integrated Information Management Program. The CFGB also received a positive Management Accountability Framework (MAF) assessment from the Treasury Board Secretariat for its sound management practices. The work that we have accomplished in the past year has set the stage for the future. The Board is committed to remain flexible in a changing environment; we will continue, in concert with other stakeholders, to look at ways of making complaint resolution in the CF more efficient and effective. The Board is also preparing to actively participate in the upcoming five-year review of the National Defence Act (NDA). In this environment we will continue to strive to maximize our value-added and fulfill our mission of providing an independent and external review of military grievances to strengthen confidence in, and add to the fairness of, the CF grievance process. In this, the Board is supported by knowledgeable and experienced Board members and staff, as well as by sound management practices. I am confident that we are well equipped to achieve our newly revised vision of becoming the centre of expertise in military grievances and a model administrative tribunal. The Grievance Context – The concept of military personnel having the right to grieve and receive redress is not new. However, Canada's introduction, in the year 2000, of the CFGB, a civilian external organization playing a key role in the CF grievance system, represents a major innovation in the handling of military grievances. The Canadian Forces Grievance Board is an independent administrative tribunal reporting to Parliament through the Minister of National Defence. 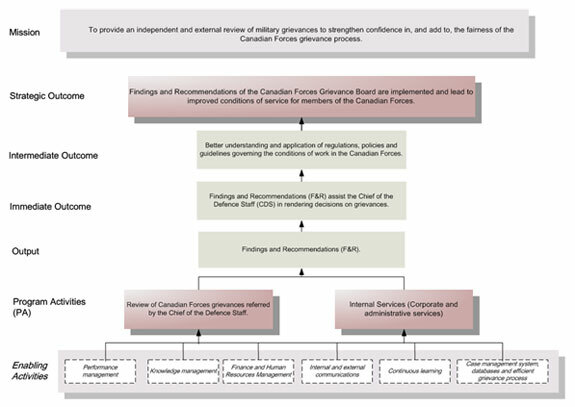 The Canadian Force Grievance Board reviews military grievances referred to it pursuant to s. 29 of the National Defence Act and provides findings and recommendations to the Chief of the Defence Staff and the member who submitted the grievance. As stipulated in the NDA and article 7.13 of the Queen's Regulations and Orders for the Canadian Forces (QR&O), the Board's mandate is to review all military grievances referred to it by the Chief of the Defence Staff (CDS). Following its review, the Board submits its Findings and Recommendations (F&Rs) to the CDS, simultaneously forwarding a copy to the grievor; it is the CDS, however, who is the final authority on all military grievances. The CDS is not bound by the Board's report, but must provide reasons, in writing, in any case where the Board's F&Rs are not accepted. The Board has quasi-judicial powers and can summon witnesses and compel them to give oral or written evidence. Although hearings would normally be held in private, the Chair can deem a public hearing would benefit the participants and serve the public interest. (d) Entitlement to medical care or dental treatment. (2) The Chief of the Defence Staff shall refer every grievance concerning a decision or an act of the Chief of the Defence Staff in respect of a particular officer or non-commissioned member to the Grievance Board for its Findings and Recommendations. Section 29.12 of the NDA stipulates that the CDS may also refer any other grievance to the Board. In order to effectively pursue its mandate, the Board aims to achieve the following strategic outcome: Findings and recommendations of the Canadian Forces Grievance Board are implemented and lead to improvements in the conditions of service for members of the Canadian Forces. The chart at Figure 1 illustrates the CFGB's framework of program activities which contribute to progress toward the Board's Strategic Outcome. At the outset of the 2008-09 fiscal year, the Board's planned spending was $6.4 million. Through Main Estimates and Supplementary Estimates, the Board was allocated total authorities of $6.9 million. Actual spending for the CFGB was $6.0 million. The variance in Full-time Equivalents (FTEs) from 46 to 38 is primarily due to delays in staffing of positions. 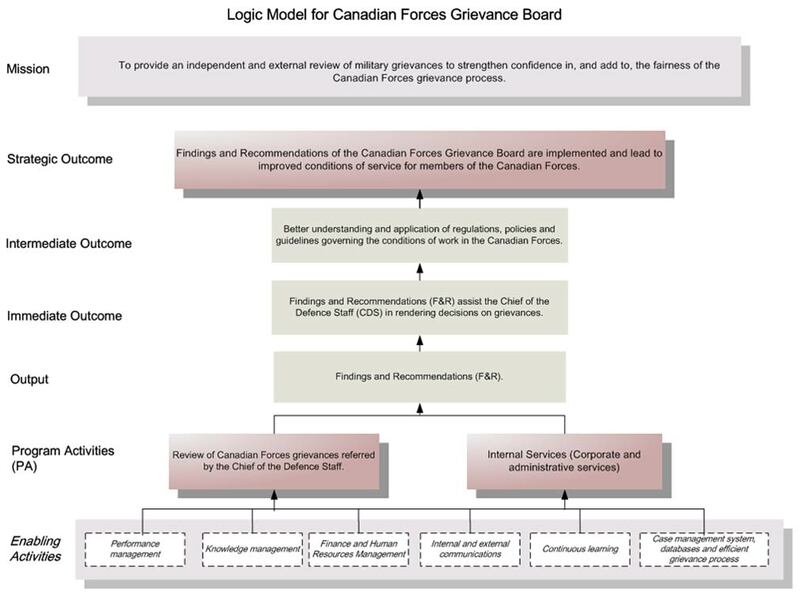 Strategic Outcome: Findings and Recommendations of the Canadian Forces Grievance Board are implemented and lead to improved conditions of service for members of the Canadian Forces. The percentage of systemic recommendations that merit further study. 75% of recommendations that merit further study are accepted by the CDS. Out of the 124 decisions from the CDS received during the period, 23 cases presented 25 systemic recommendations for further study and the CDS accepted 72%. During the reporting period systemic recommendations related to problems with procedural fairness; additional training on Cadet Harassment and Abuse Prevention process; quality of provided information specifically in publications related to pension plans and release pay benefits. Out of the 124 decisions from the CDS received during the period, 20 of the 25 systemic recommendations dealt with interpretation and application of regulations, policies and guidelines. The CDS was in agreement in 70% of those recommendations. During the reporting period major trends were reflected in a number of grievances: inconsistencies between regulation and policy and errors stemming from the administration of the enrolment process. The percentage of survey respondents indicating that the Board has contributed to changes to CF regulations, policies and procedures. 70% agreement Success regarding this performance indicator will be assessed through formal evaluations every 5 years. The next evaluation will be conducted in 2009-10. Strengthened performance through monitoring its Performance Measurement Strategy and by seeing that its timeline standards are met. 21% of cases met the standard of 6 months review while 51.3% were slightly over averaging a 9 months review. During the period of this report, the Board completed cases for which the review had mainly been done under a different process which increased the time the case spent at the Board. The expectation was that the introduction of additional steps to the Board's internal process would reduce the overall completion time of grievances at the final authority level. While the pilot project ended during the reporting period, a number of cases completed during this reporting period had been part of the pilot project. The Board conducted an in-depth study with the aim of improving its internal file review process and the Board regained the desired level of efficiency. In some cases, the new process also yielded an additional benefit by facilitating withdrawals and informal resolutions much earlier in the process than was previously the case. Contributed to improving the system by sharing lessons learned with stakeholders/partners involved in the military grievance system. The Board disseminated information on the impact of its work by launching a newsletter targeted primarily at senior CF officials at the Department of National Defence (DND) Headquarters. Reached out to CF members and other stakeholders to build awareness of the Board's mandate and foster an understanding of the service it provides, as well as the impact of its work and its value-added. The Board published an insert in the Maple Leaf, the weekly national newspaper of DND and the CF, which included information about the Board and summaries of cases reviewed by the Board. The continued co-ordination of a strong governance and accountability framework to ensure that the Board remains focused on results. Enhanced capacity to collect and use performance information for informed decision making at all levels. Improved integration of the risks the Board faces, and how best to mitigate them within the Board's processes. Improving the integration of business planning with human resources (HR) planning to respond to changing demographics, projected labour shortages, effective labour relations and evolving learning needs. Improved integration of business and HR plans. Put in place specific measures regarding recruitment to achieve representation of designated groups according to workforce availability. Identified the development of leadership competencies as a priority and in 2008-09 leadership courses provided by the Canada School of Public Service (CSPS) were offered to all executives and feeder groups. Enabled employees to plan their careers and develop learning plans that addressed the gaps in their skills and knowledge. Provided employees with training and learning opportunities to ensure the attainment of the Board's strategic business and corporate goals. All executives have clear, assessable on-going and key commitments. The revised Performance Management Program was implemented in the first quarter of 2008-09 for all eligible excluded or unrepresented employees and the Board expanded the more rigorous system to include all Executive Group (EX) feeder groups. Services standards for pay, staffing and classification are established. Highlight the importance of public service values as the foundation of ethical behaviour. The Board launched its five-year action plan to promote Public Service Values and Ethics within the Board. Some key factors beyond the direct control of the Board can influence the realisation of its main objectives. One significant factor is that the Board has no control over the number of grievances referred in any given year. Significant fluctuations will have an impact on the financial and human resources planned by the Board to ensure that F&Rs are issued in a timely basis. To mitigate this risk, the Board monitors workload planning assumptions on an ongoing basis. Workload planning assumptions provide the basis for establishing the correct number and mix of staff to meet the objectives of providing a timely review of grievances, consistent with the Board's production standards. The Board focussed on achieving efficiency in the grievance review process to reach a steady-state of operations where the completion rate of a 1-1 ratio could be attained. From 2000 to 2004, the CFGB based its planning assumptions on an estimated referral of 120 to 140 cases per year; since then there has been a decline where it is expected that an average of 75 to 90 cases will be referred per year. Consultations with the Director General Canadian Forces Grievance Authority (DGCFGA), whose role is to oversee the administration of the CF grievance system, indicate that there has been a trend showing a decline in the number of grievances from 350 to 250 at the Final Authority (FA) level in the system overall. Figure 2 demonstrates the decline of cases referred and the state of the inventory over the years. Under the current system, the Board reviews approximately 40% of grievances at the FA level. Discussions within the CF are presently taking place with regard to further streamlining the CF grievance system as a whole. The streamlined process may include changes to the Board's own grievance review process as a different model may be adopted for the referral of grievances to the Board in order to maximize its resources. The Board also responded to another concern related to the duplication and sometime overlap with the many CF resolution processes available to grievors. A trial is underway of a new "principled approach" to grievance referral founded on the value-added the Board review could bring to the resolution of grievances. Under this approach the Board would review all grievances for which the CF was unable to find a resolution mutually accepted by all parties. This approach is being discussed within the CF and is generally supported by senior officials. As well, the Board faces several key HR and information management and informatics challenges. Some of these challenges, common to the Public Service, include changing demographics, projected labour shortages, effective labour relations and evolving learning needs. To ensure that the Board meets these challenges and to strengthen its human resources management, the Board has developed an HR three-year strategic plan and a Succession Plan. As well, the Board has made it a management priority to ensure that the integrity and completeness of information within the organization is not compromised or lost. This table illustrates the voted items Parliament approved through the Main Estimates. The statutory items are displayed for information purposes only. The financial highlights presented within this DPR are intended to serve as a general overview of CFGB's financial position and operations. The Board's financial statements can be found on the CFGB's website at: http://www.cfgb-cgfc.gc.ca. CFGB invested a significant sum in 2008-09 to purchase computer software and hardware, therefore increasing its assets by 165%. Visit the Board's Web site at http://www.cfgb-cgfc.gc.ca for more information about its work, case summaries, and other additional reports.